The Boost Up, which is available in black or white, doesn't unfortunately fulfill the same promise of Apple's AirPower: the iPhone and Apple Watch sit on two separate charging pads, with the Watch one being magnetic and featuring an angle that supports the device's Nightstand mode. However, unlike Apple's AirPower, Belkin's Boost Up actually exists and can be purchased today. The Boost Up also comes with an additional 5W USB-A port in the back of the dock, which Belkin advertises as being ideal for charging AirPods, Beats headphones, or other accessories from a single station. 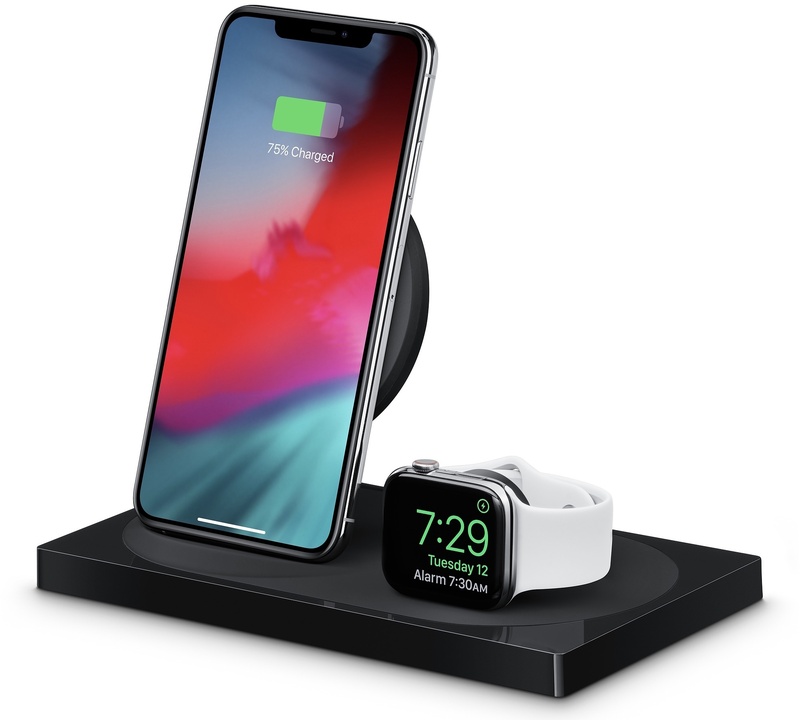 Belkin's wireless charging mats are compatible with cases up to 3mm thick and they're certified to charge iPhones and other Qi devices at 7.5W. The Belkin Boost Up is available exclusively at Apple stores at £139.95/€159.95 starting today. Today's second Belkin product release is one I have been particularly looking forward to as it extends the new iPad Pro's capabilities in ways no other third-party adapter can yet. Previously announced on October 30, soon after Apple's iPad Pro event, Belkin's new USB-C to HDMI adapter is, to my knowledge, the only one to support 4K output at 60Hz, HDR video, and HDCP 2.2 to stream protected content from Netflix and iTunes. 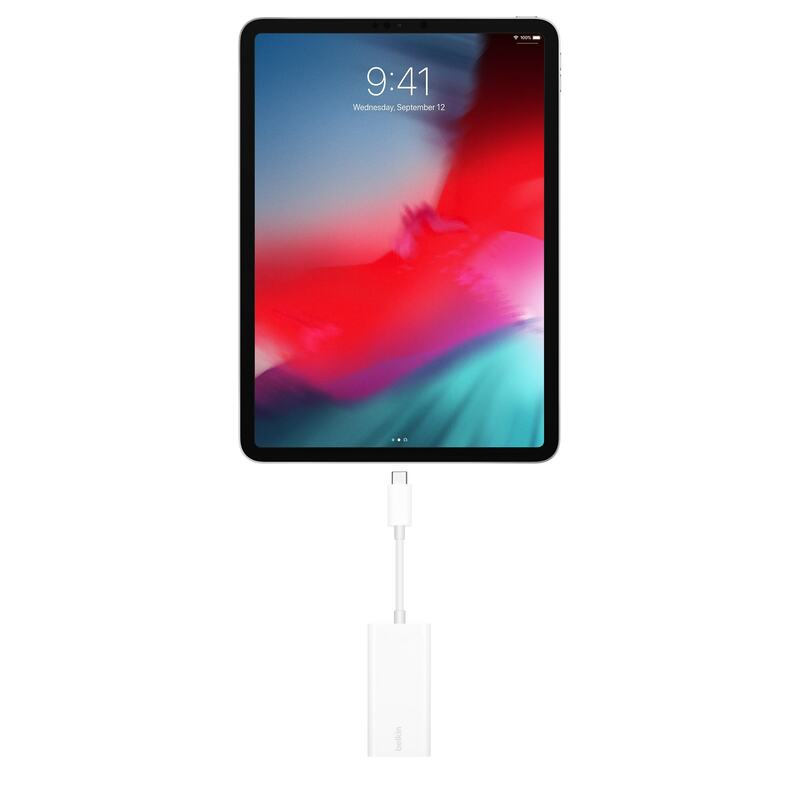 The product page on Apple's website lists compatibility with modern Macs and the third-generation iPad Pro, which is equipped with a USB-C port supporting the USB 3.1 Gen. 2 spec. An interesting difference worth noting between Apple's website and Belkin's original press release is that while Belkin's newsroom specifically mentioned Dolby Vision support, the listing on the Apple online store simply says "HDR video". Given that both HDR10 and Dolby Vision movies are available on the iTunes Store and considering what Belkin wrote in their original announcement, it's safe to assume the adapter supports both HDR10 and Dolby Vision, but I'll make sure to personally test this feature as soon as possible. USB-C to HDMI adapters with support for 4K @ 60Hz and HDCP 2.2 (that weren't externally-powered docks) were already hard to find before the iPad Pro, but Belkin has gone beyond that by offering support for HDR video playback and iOS/macOS integration in what looks like a relatively compact package. These features don't come cheap though: the device is available at £49.95/€59.95, more than you'd probably expect for a small USB-C to HDMI adapter. I should be able to get my hands on Belkin's new USB-C to HDMI adapter on Friday, and I will post more details and technical notes in my ongoing iPad Diaries series.